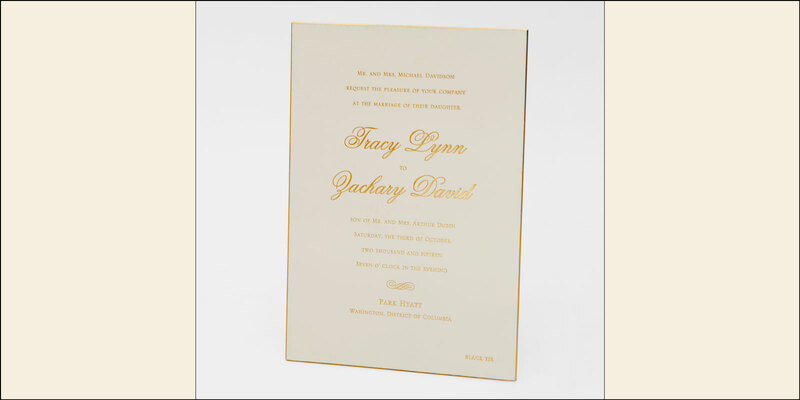 These gold foil stamped and hand-beveled invitations exhibit a timeless luxury. 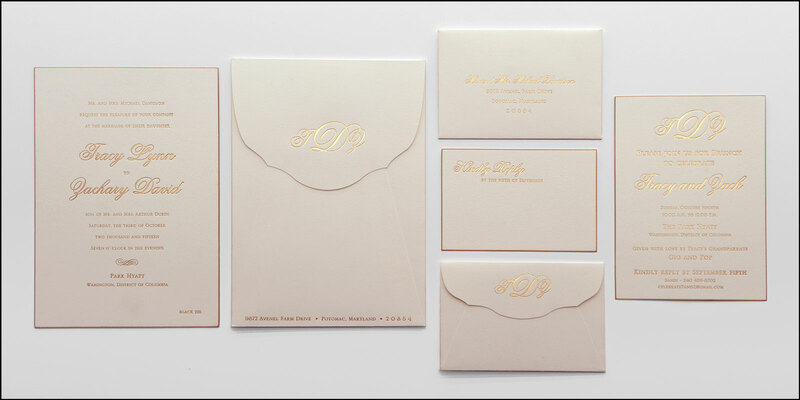 The entire invitation suite is stamped with metallic gold foil, and the edges are beveled with the same matching foil. 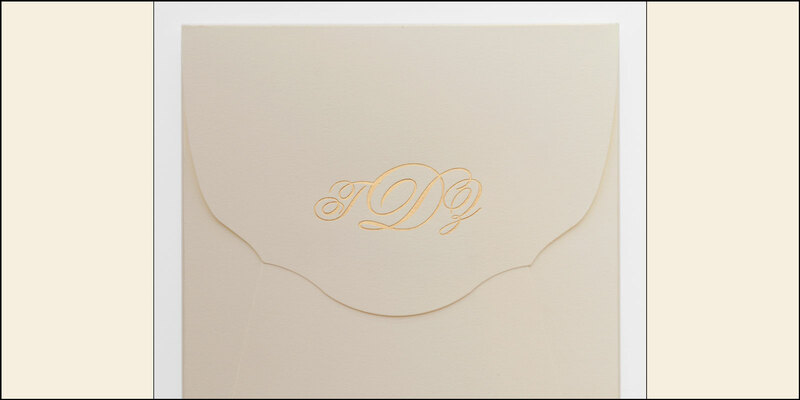 The scalloped heavyweight custom mailing and response envelopes give this suite extra flair, as well as extra protection during the mailing process.